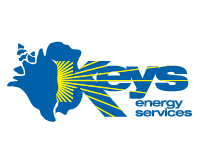 Keys Energy Services (KEYS) is seeking an experienced project engineer to perform electrical engineering design work and project management. Must possess a B.S. in Electrical Engineering from an accredited university (emphasis in electrical power systems preferred), and two years experience with an electric utility, preferably in transmission, distribution, and substations of electrical power. Starting Salary: Up to $96,518, depending on relevant work experience. KEYS strongly recommends that applicants familiarize themselves with the area of Key West, including its cost of living, if considering applying. For more information on this position and to apply, please visit our website at www.keysenergy.com/jobs. Please call (305) 295-1069 if you have questions concerning this position. EOE. Pre-employment drug testing required. KEYS is a tobacco-free campus.